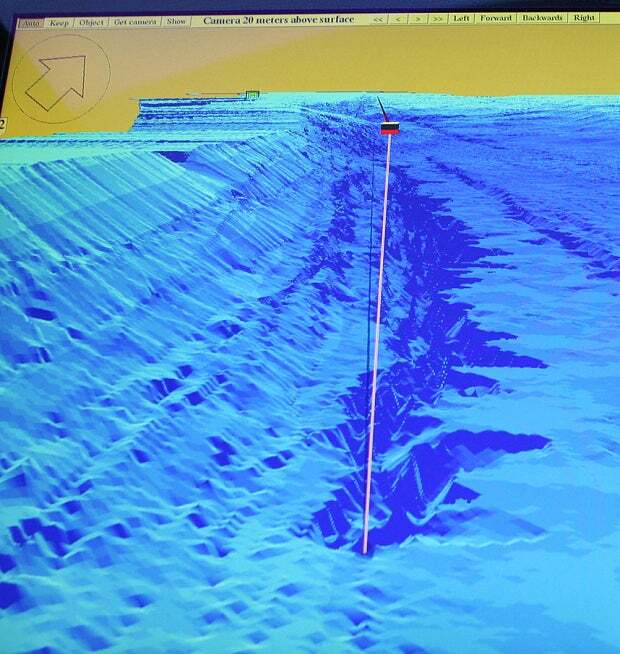 A sonar reading recently revealed a previously unseen trench at the bottom of Loch Ness. Located about nine miles east of Inverness, it looks just large enough for Nessie to hide in. Or more plausibly, it’s yet another attempt by the locals to keep the myth alive—and the tourists flocking to the lake. The crevice was discovered by retired fisherman Keith Stewart, who now happens to be, ahem, a tourist sightseeing boat skipper. Using sonar equipment, Stewart captured a vivid 3D image of the gaping abyss. I wasn’t really a believer of the monster beforehand. But two weeks ago, I got a sonar image of what looked like a long object with a hump lying at the bottom. It wasn’t there when I scanned the loch bed later. That intrigued me and then I found this dark shape about half way between the Clansman Hotel and Drumnadrochit which transpired to be a crevice or trench. I measured it with our state of the art 3D equipment at 889 feet. I have gone back several times over the abyss and I have verified my measurements. 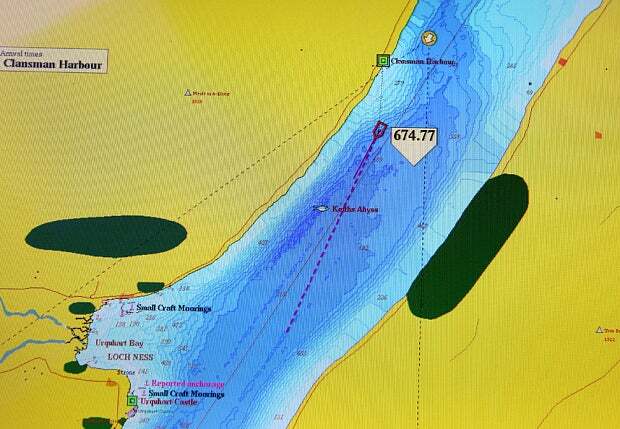 It is only about a few hundred yards offshore whereas previous sonar searches have traditionally been down the middle of the loch. Searches of the monster have also been in those areas as well as Urquhart Bay so maybe the local legends of underwater caves connecting Loch Ness to other lochs and perhaps even the waters of the east and west coast are true. If the newly dubbed “Stewart’s Abyss” is confirmed, it would represent a new deepest point to what is already the second deepest lake in Scotland (the deepest being Loch Morar at 1,017 feet). The previous official maximum depth of Loch Ness is 754 feet, but the new data suggests a new figure of 889 feet. At any rate, the presence of the new trench should hardly be taken as evidence for the Loch Ness beast. The hole certainly appears wide and deep enough to obscure a monster, but it’s just that—a hole at the bottom of a lake. Regardless, the discovery is sure to give added fuel the Loch Ness myth, which is exactly what Keith Stewart and the locals are counting on.